If postseason performance counted, would Jayson Tatum win ROY? If the Rookie of the Year (ROY) accounted for postseason play, Jayson Tatum would be the unanimous winner. 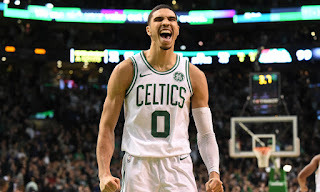 In the 2018 playoffs, Tatum established himself as one of the most valuable players not only among rookies, but veterans and superstars alike. Although the young forward received the start in the season opener against the Cleveland Cavaliers, there was uncertainty about his role on this Boston Celtics team. Come postseason time, Tatum squashed any question of his legitimacy as a key player. Jayson caught the league's eye early in the season due to his average 47% three-point percentage from October through December. 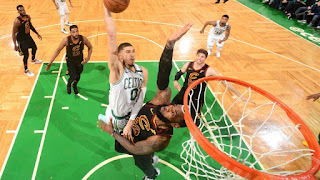 However, when looking at his 13.9 PPG, 5 REB, and 1.6 AST total averages for the whole season, Tatum was not necessarily a no-brainer Rookie of the Year Candidate to the casual fan. Two other young stars were Philadelphia 76ers Guard Ben Simmons and Utah Jazz Guard Donovan Mitchell, who both received more attention due to triple-doubles and volume scoring respectively. Not to discredit Jayson's highlight handles and flashes of scoring ease, but during the regular season there was a noticeable degree of separation between Tatum, Simmons, and Mitchell. Not only did Jayson write himself into the history books next to some of the greatest players ever, but he performed one of the most electrifying plays in this year's entire playoffs when he dunked on LeBron James in Game Seven of the Eastern Conference playoffs. 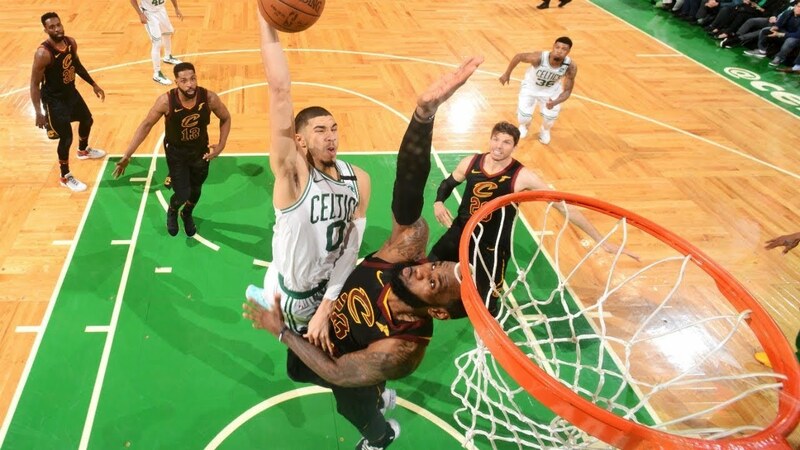 Now the Rookie of the Year Award doesn't necessarily need to be handed to Tatum for one play, but this highlight shows that Tatum is the real deal. Traditionally, the Rookie of the Year Award is purely based off the regular season, with the award meaning more or less depending on the climate of the season. Not many people remember Milwaukee Bucks Guard Malcom Brogdan winning the award last season, but who doesn't want to see their favorite rookie rewarded for an exceptional season? This is where I think change needs to occur. Sure, Simmons and Mitchell put up numbers during the regular season, but the postseason is a whole different story. There are no scrub teams like the Charlotte Hornets and the Phoenix Suns available to help pad stats, and the intensity is elevated tenfold. While Simmons put up a one-point game that may have been better than the box score suggests in Game Two of the Eastern Conference Semifinals, Tatum had 21 points. Mitchell on the other hand may have averaged 24.4 points throughout the 2018 Playoffs, but his team only won five games. Tatum and the Celtics won eleven games. Any basketball fan understands how punitive the regular season feels amidst the excitement of the playoffs. Not to say the regular season play of other rookies should be null and void, but exceptional play in the playoffs by a rookie should trump all. Showing up night after night and playing a key role in wins against playoff teams shows more value than scoring 40 against the Suns in the dog days of March. Let's not forget how ignorant the league looks after voting former Toronto Raptors Coach Dwayne Casey NBCA Coach of the Year given his second round exit in the form of a sweep. With voting based purely off of the regular season being exposed, could Tatum's 2018 playoff performance make the ROY award look just as bad? The 2017-18 season showed in two separate award races that regular season performance means nothing if that same success can't be carried into the playoffs. Hopefully there will be future revision in award voting, so people such as Tatum (and Brad Stevens alike) can avoid being snubbed of due recognition.